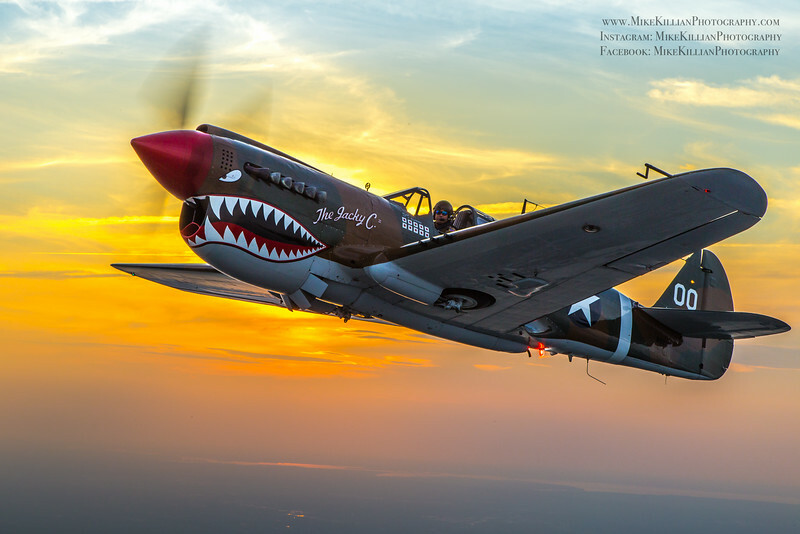 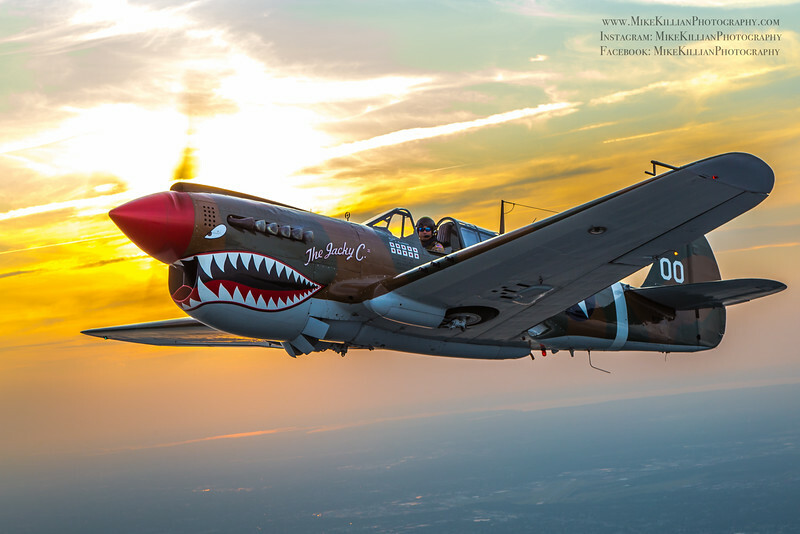 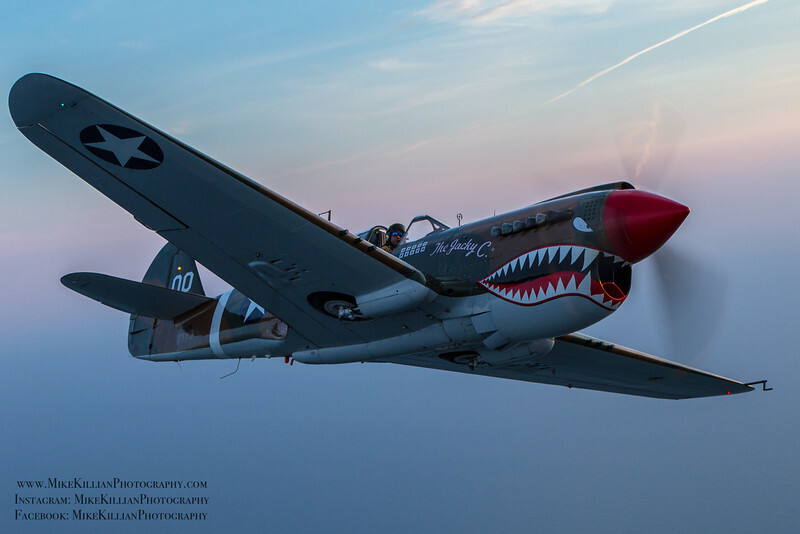 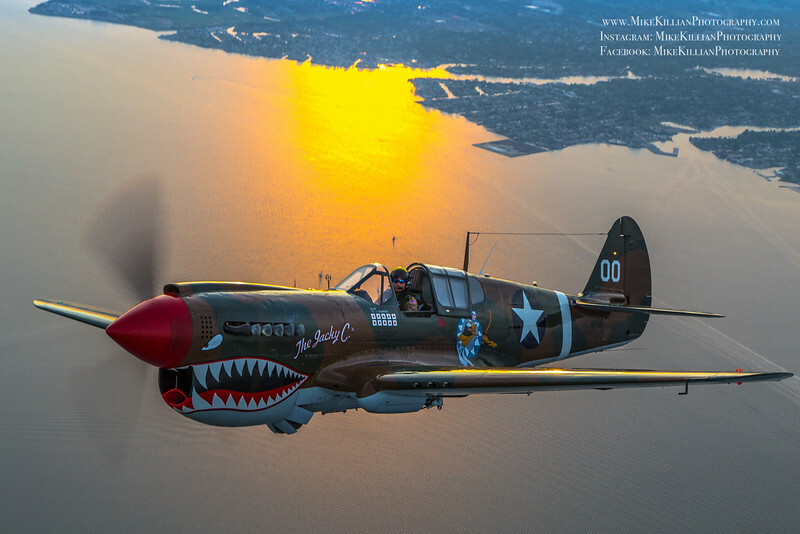 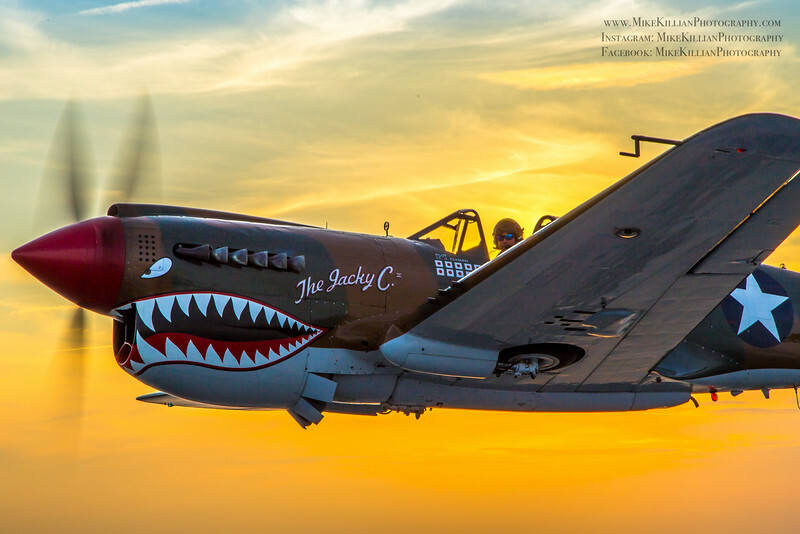 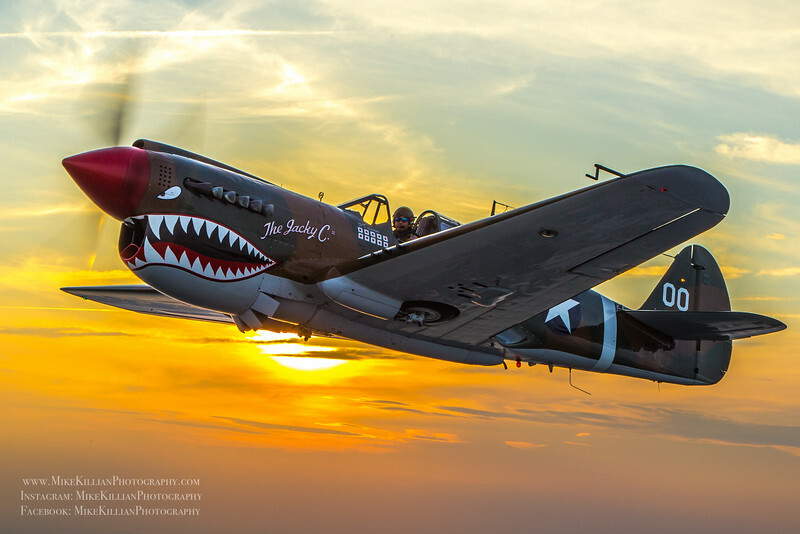 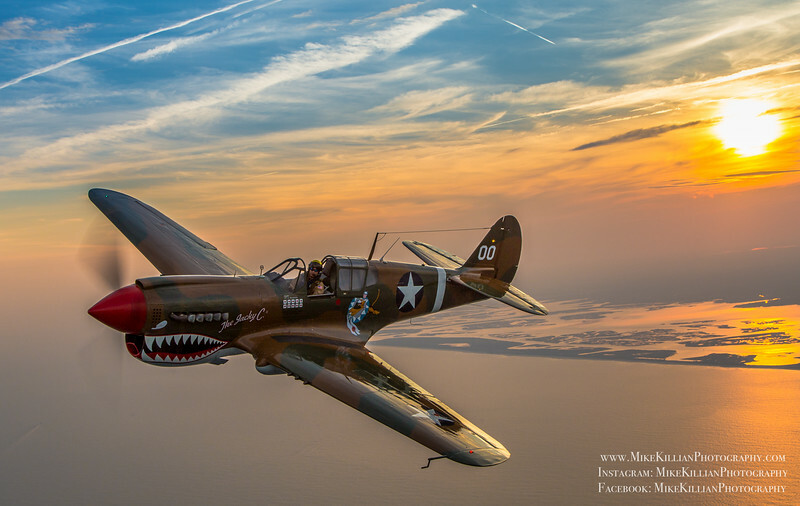 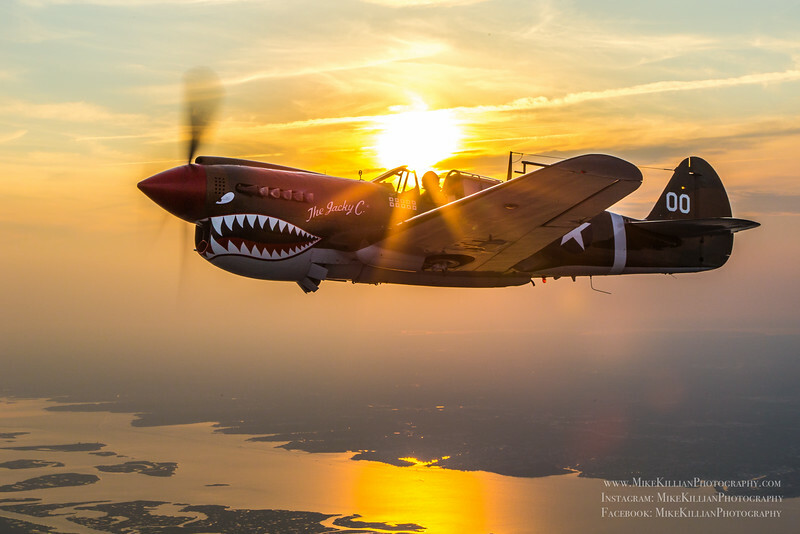 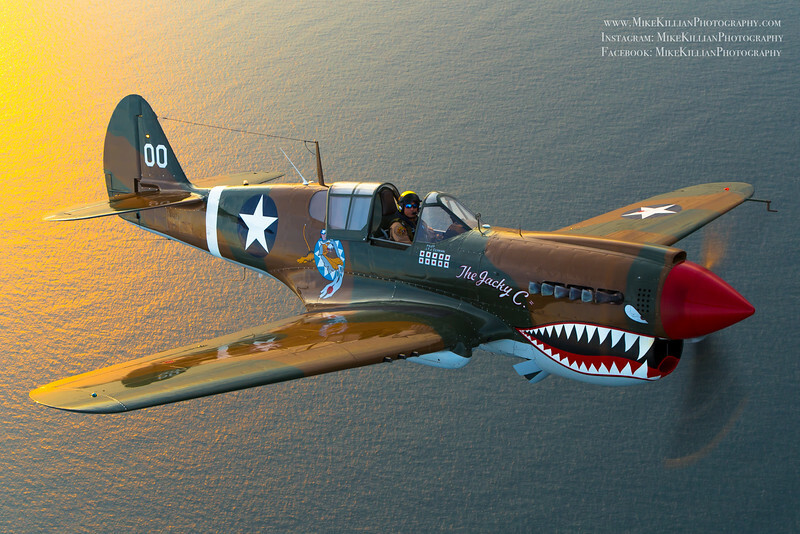 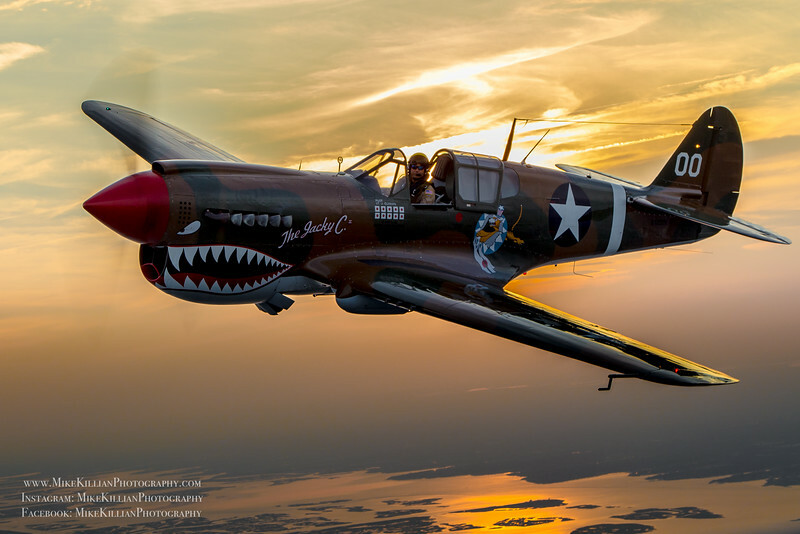 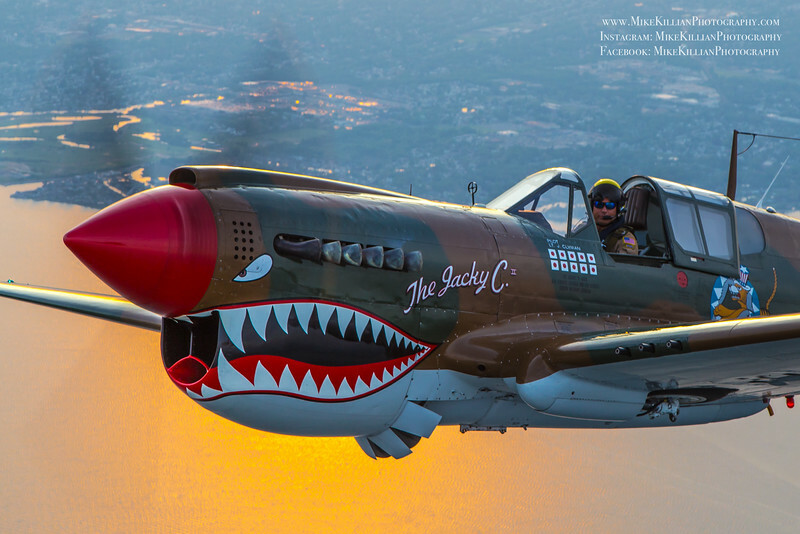 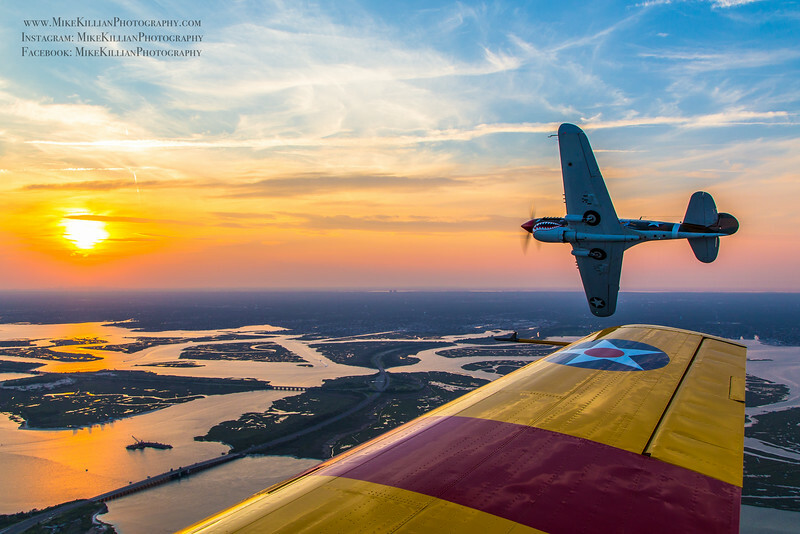 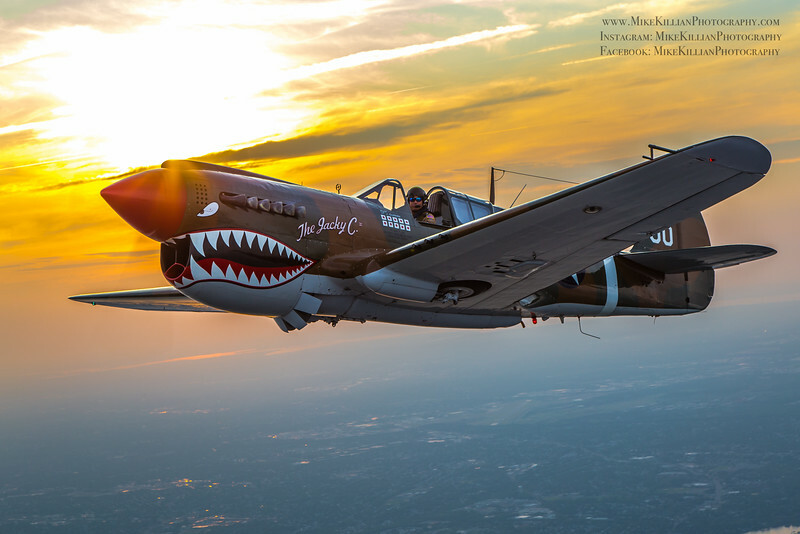 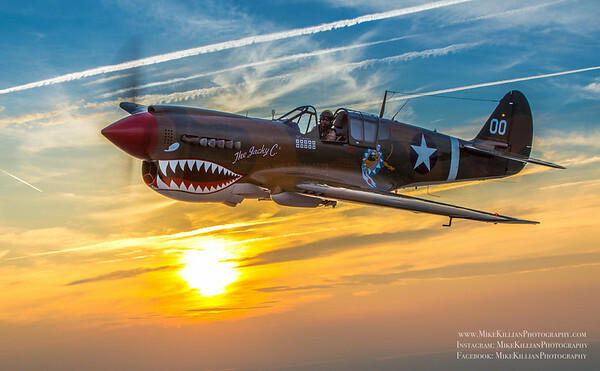 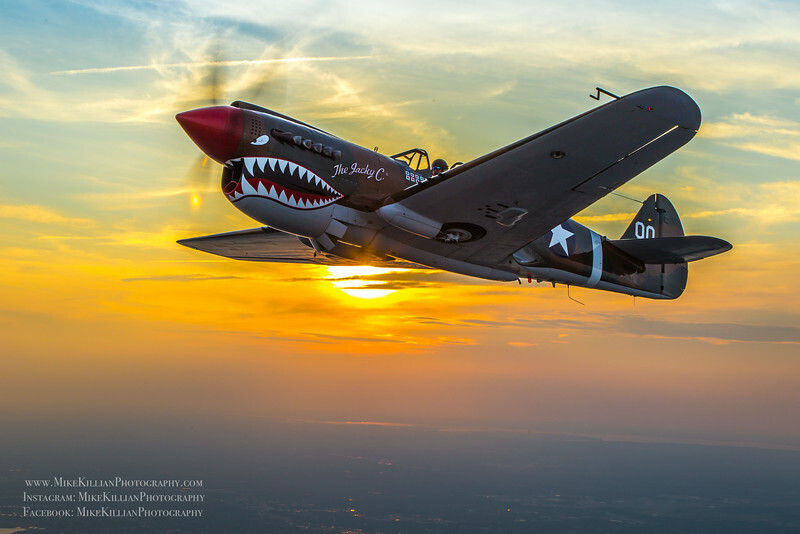 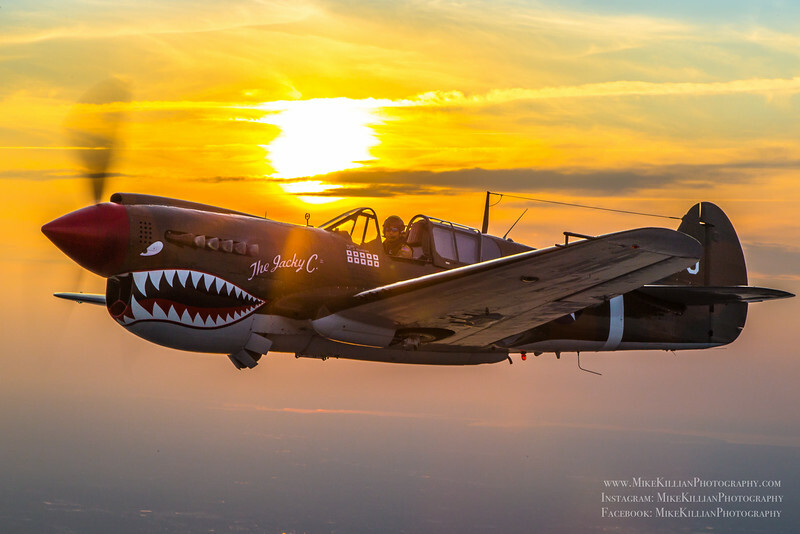 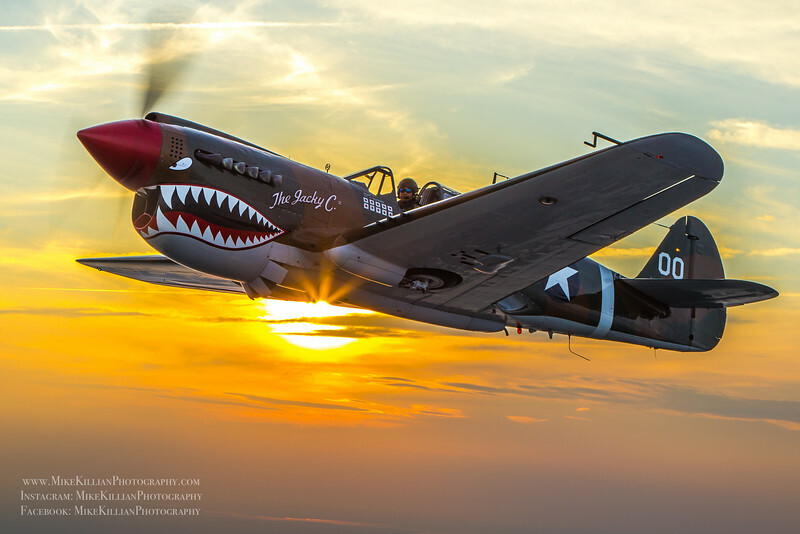 Sunset air-to-air photo shoot with Thom Richard piloting the American Airpower Museum's P-40 Warhawk, "The Jacky C. II", off Jones Beach, NY. 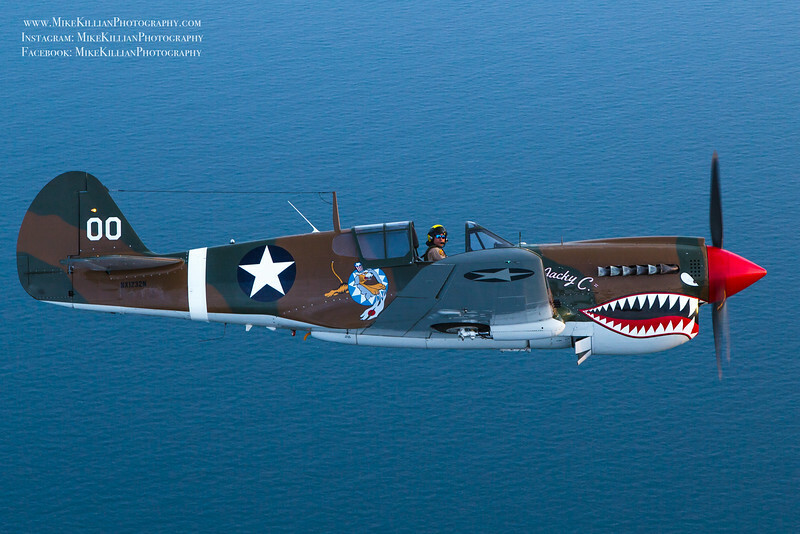 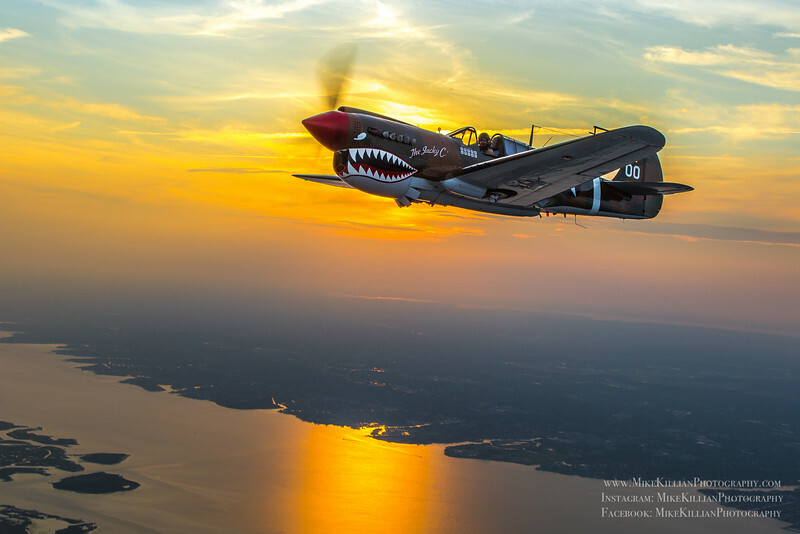 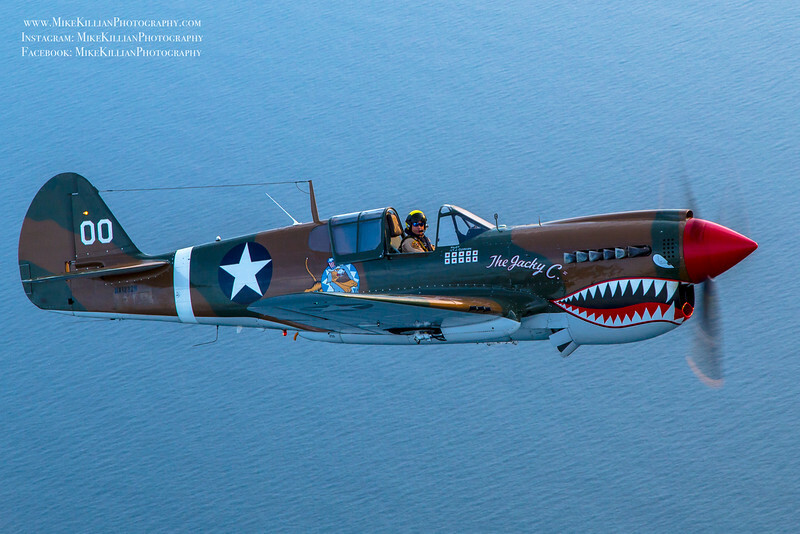 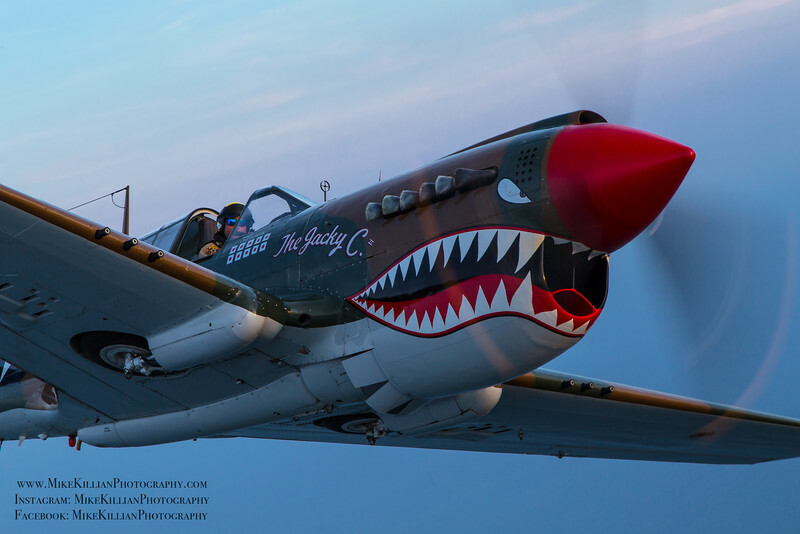 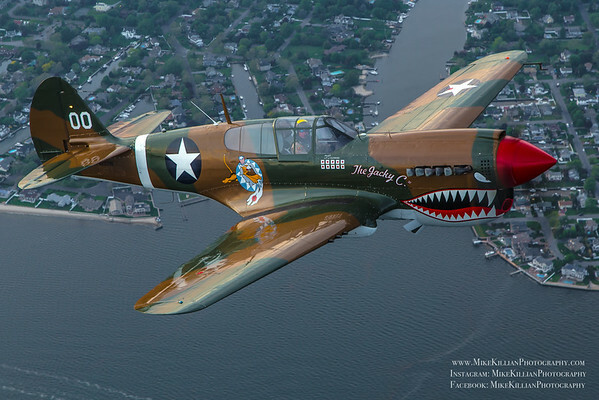 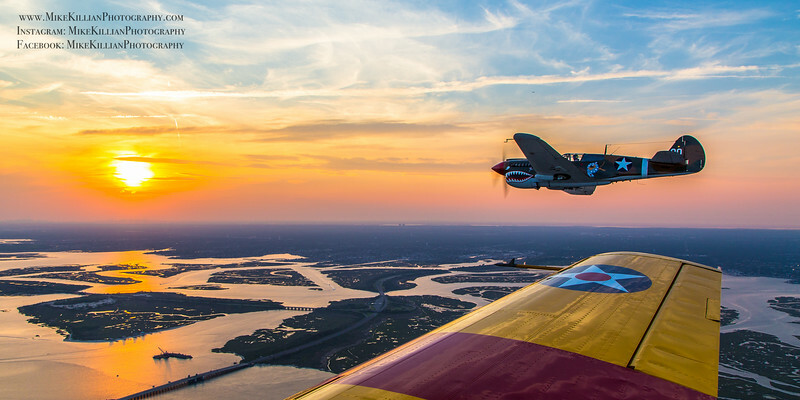 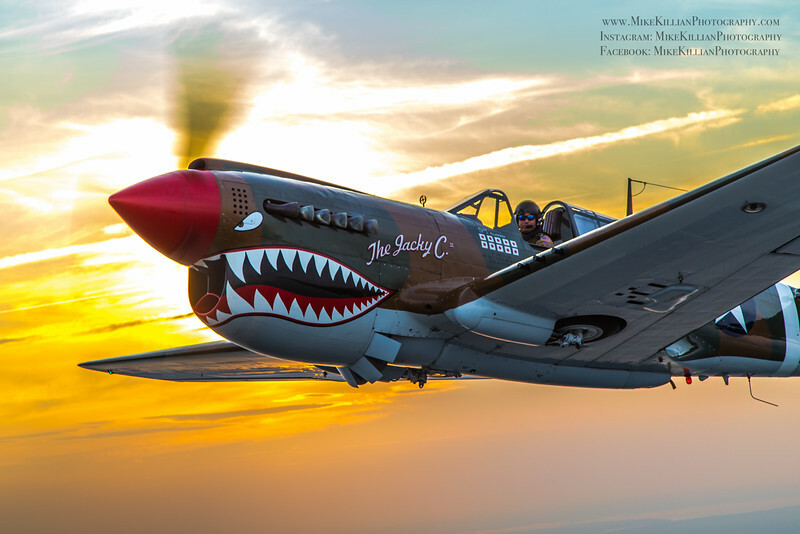 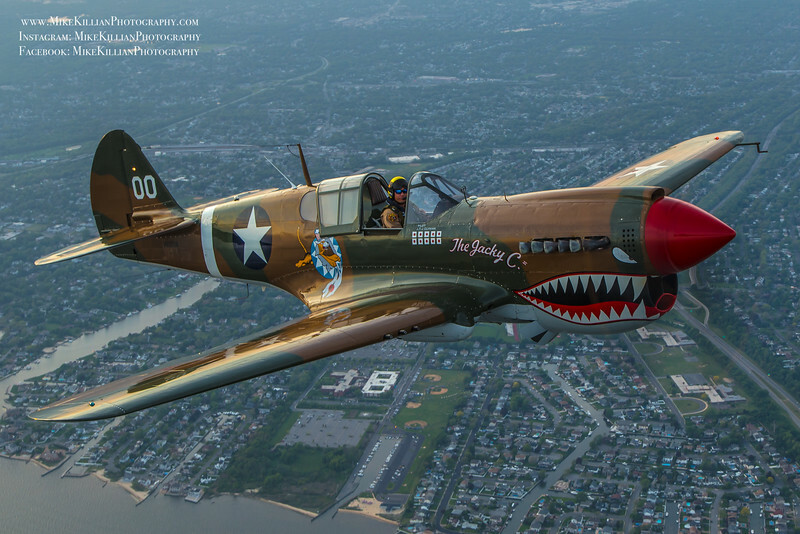 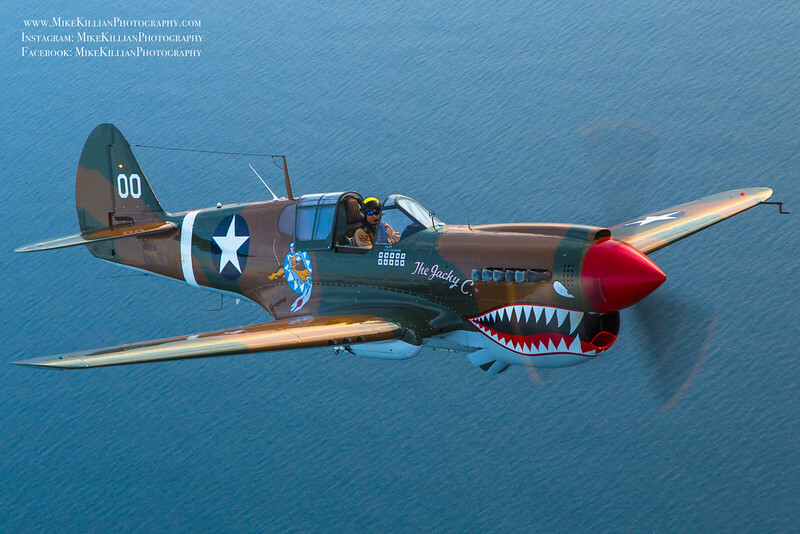 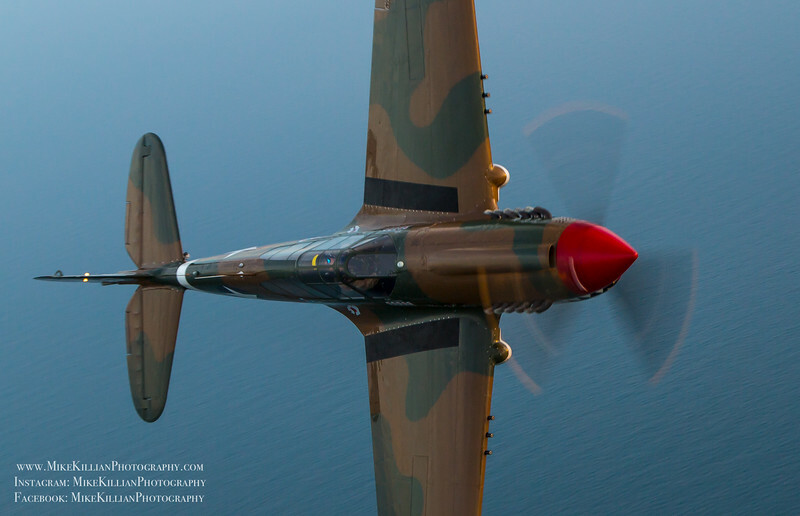 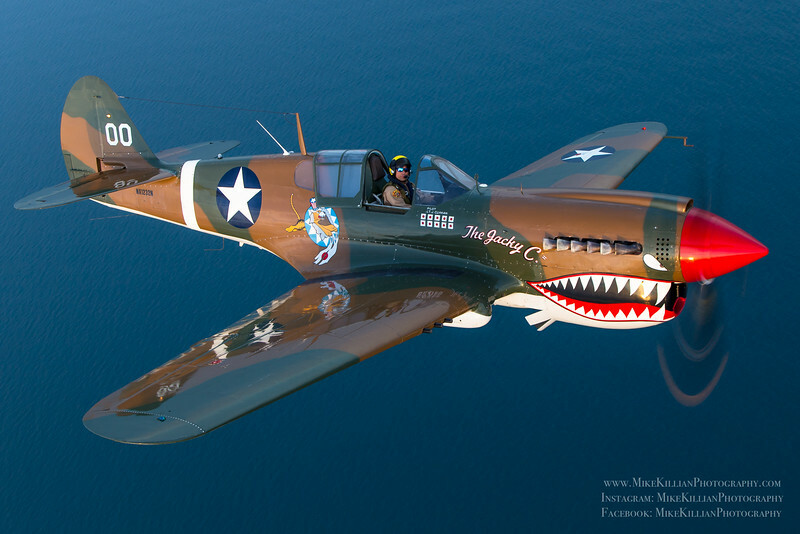 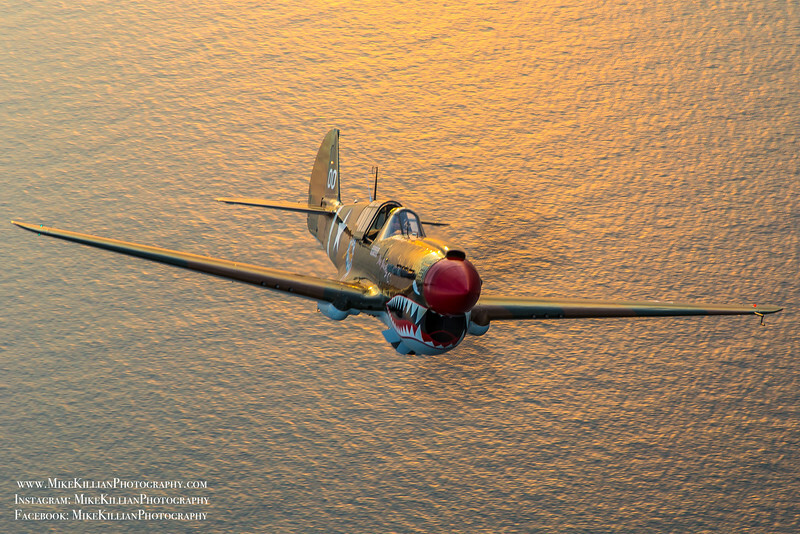 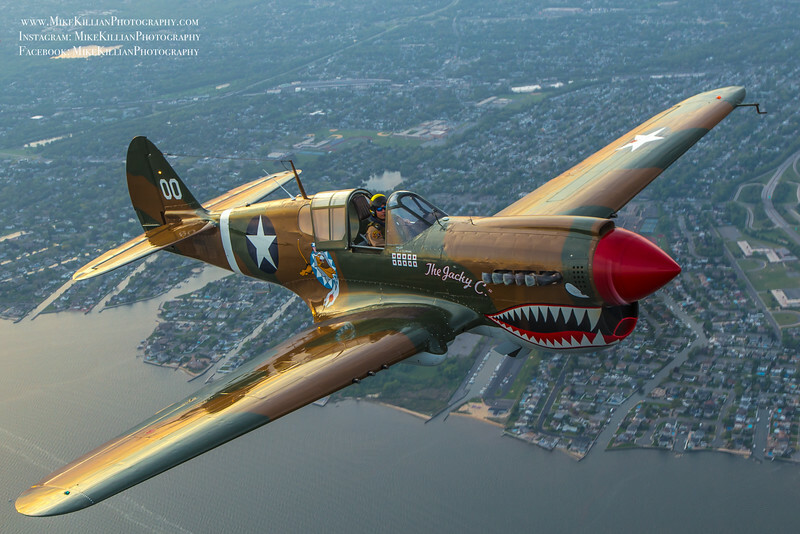 Richard, a world-renowned air race pilot and the owner of Warbird Adventures in Florida, performs in the museum's P-40 at the annual Jones Beach Air Show, as well as other shows throughout the year. 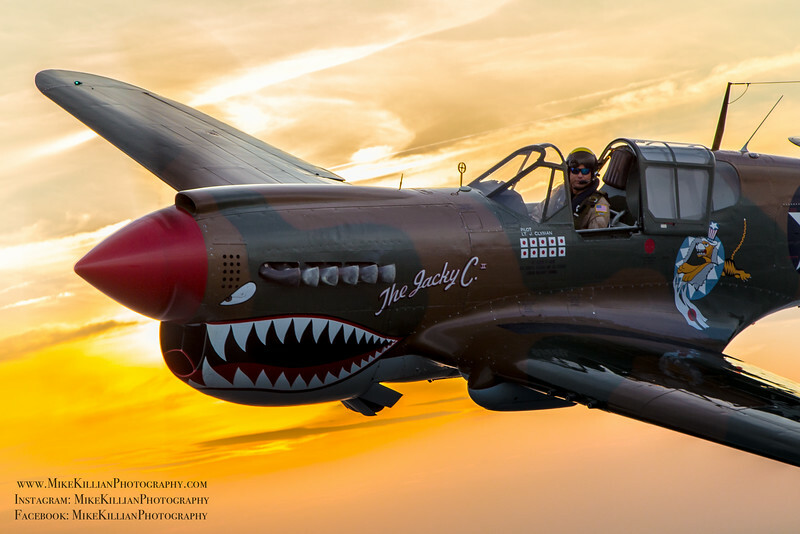 PRINTS AVAILABLE, click here to order! 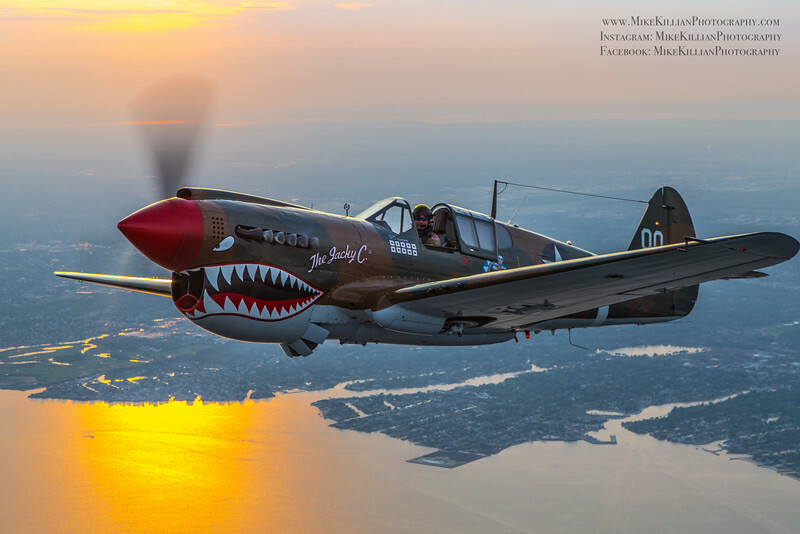 All images copyright 2016 Mike Killian Photography, all rights reserved, contact for use.